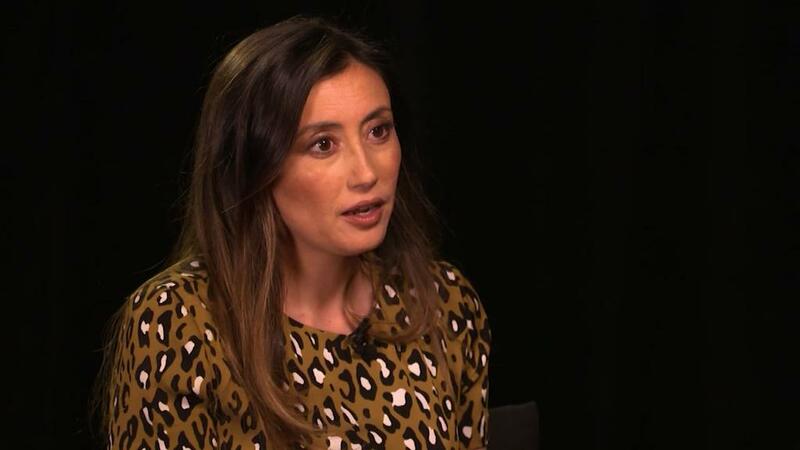 Stitch Fix founder Katrina Lake is one of the wealthiest female entrepreneurs in the country, but it wasn't too long ago that she could have never imagined herself as a CEO. "There haven't been a lot of founder CEOs that look like me," Lake tells CNN's Poppy Harlow in an episode of Boss Files. "I showed up as a girl who spent a lot of her life in California who said 'like' a lot, and kind of looked like what you would expect for that." Lake, who is now 35, says starting a company was never on her radar and her time studying at Stanford deterred her even further. "I looked at people like [Google founders] Larry [Page] and Sergey [Brin], who were coders, who were sitting in a garage, and building a company, and I looked at that and didn't see myself in that," she says. "I just think it took me a while to think that this was a path that was available to me." Yet, that didn't stop her from becoming the youngest woman ever to take a company public. Last year, Lake was named by Forbes as one of the wealthiest self-made women in America. Lake was enrolled in a pre-med program when she was at Stanford. She intended to follow in her father's footsteps and become a doctor, but she was drawn more towards the world of economics than the lab. She worked for a retail consultant group and at a venture capital firm before enrolling at Harvard Business School to pursue a master's degree in entrepreneurship. 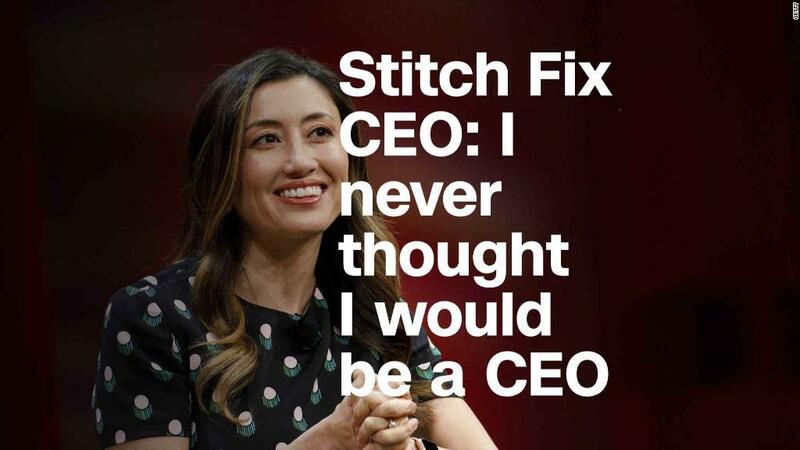 It was at Harvard that she came up with the idea for Stitch Fix. As part of a class project, Lake sought to bring a better shopping experience into the homes of women who don't have easy access to a wide range of fashion options or the time to shop around. What she came up with was a personalized shopping service that uses algorithms and recommendations from stylists to curate boxes of clothing and accessories that match a customer's style, size and fit preferences. Stitch Fix was launched in 2011. The company has seen significant growth since, with 2.7 million customers and more than $1 billion in revenue. "All of our growth was organic. It was just people telling other people," Lake says. But the road to success has not been easy. Lake struggled to raise money in an industry dominated by male investors. She says she had to convince the men in the room that Stitch Fix was a service women actually wanted. "It was just a woman's product. I definitely think that it didn't help," Lake says. "You can't blame the kind of individual for having that preference, but then you step back and realize 94% of venture investors are male and have similar preferences. And so, I think that it unquestionably made it harder." Taking the company public was another hurdle. 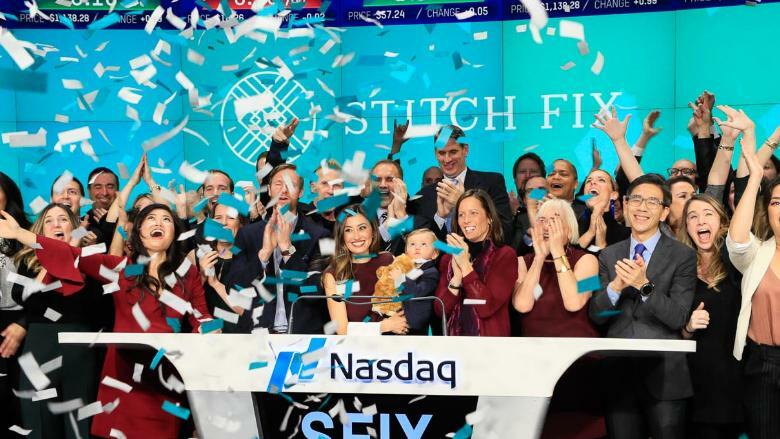 Just days before Stitch Fix's debut on the stock exchange last November, the company was forced to reduce the size of its $18 to $20 a share offering. The stock opened at $16.90, but fell to $15.15 by the end of its first trading day. "There were some headwinds there, but I think we came out really motivated by the challenge of it," she says. "We've been underestimated before. We're happy to be at a place where we're going to prove ourselves." Something else happened during that IPO. A photo of Lake holding her then 14-month-old son as her company went public went viral on social media and Lake became a role model for women -- and especially mothers -- trying to make it in the startup world. "The response was amazing. I never anticipated it," she says. Stitch Fix founder and CEO Katrina Lake holding her 14-month-old-son at the company's IPO. Stitch Fix has also impressed Wall Street since that Nasdaq debut. The company's stock has more than doubled to nearly $30 a share as it continues to grow its customer base, sales and profits. It's current market cap is nearly $3 billion. The company has expanded its line to include men's and plus-size clothing. It recently introduced Stitch Fix Kids -- a natural extension for Lake, who has another child on the way. Lake says one thing she has realized is that her role as CEO goes far beyond boosting the bottom line. "I think it really forces you to think more about what is the culture that I'm creating, what is the impact that I'm having," she says.